HSM announced the retirement today of James J. “Jimmy” Bush, President of the Hickory Springs Division of HSM. Born into the home furnishings industry, Jimmy made his career with the privately owned family business which has spanned over 40 years. His early childhood was spent with his brother Bobby helping his father Bob Bush around the Hickory Springs office and his teenage summers spent working in the warehouses learning the ins and out of springs. Since 1978, Jimmy has played many critical roles in the Company from the factory floor to serving on the Board. After graduating from Duke University with an MBA and BS in Management Science, Jimmy officially joined Hickory Springs as an assistant sales manager. 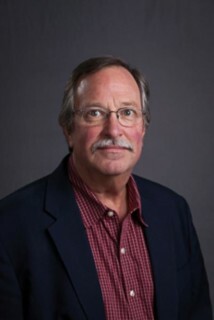 During his tenure, he has held the titles of senior executive vice president of the wire products group, vice president of sales for the bedding product division, national product manager of bedding, innerspring product manager and senior vice president of corporate development concluding with President of the Hickory Springs division. Throughout his 40-year career, Bush has served the industry as a board and executive committee member of the Better Sleep Council, a board, finance and executive committee member of ISPA (International Sleep Products Association) chair and vice chair of the International Sleep Products Association Supplier’s Council and as past president of AIM (American Innerspring Manufacturers). One of his proudest moments was receiving the Russell L. Abolt Exceptional Service Award in 2014, ISPA’s highest honor bestowed on a member. While Jimmy will be devoting more time to his family and new grandbaby and fulfilling his passion for hunting during retirement, he remains committed to continuing to serve HSM and the bedding industry when the opportunity presents. We are proud of the contributions Jimmy has made to the industry and our company these past 40 years and wish him the best! At this time, Tim Becker, VP of Hickory Springs and Rick Anthony, VP of Hickory Springs Home Furnishings will continue to oversee operations and retain their current roles, reporting to Michael W. Hinshaw Jr., Chief Operating Officer.